Visiting Rome soon? If so, you might be feeling overwhelmed by the many things to do in Rome. Where do you begin? Which of the Rome attractions are essential for your first visit? Not sure what to expect or where to even start? No worries! I've put together a collection of tips for visiting Rome for first-time visitors that are sure to help! Visiting Rome for the 1st Time? Rome can seem overwhelming. Between the language barrier and the sheer number of sights to see, Rome is one of the densest European cities. A great trip to Rome should include certain Rome attractions, including some of the most popular tourist attractions in the world. Spending a week in Rome is ideal, but don't worry if you only have a few days. I'll help you prioritize your Rome itinerary with a few of my best tips for visiting Rome. Pay attention to the weather and seasons when planning your trip to Rome. Summer in Rome can be VERY hot! 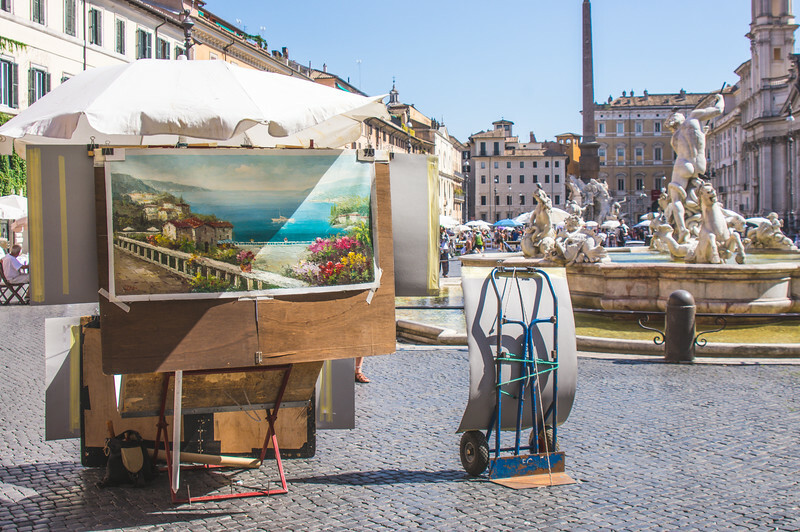 Sure, the free water fountains are a great way to stay hydrated and cool, but you'll want proper gear and an air-conditioned apartment if you're visiting Rome in the summer. On the other hand, winter is a rainy season, so you'll want to pack accordingly. According to Lonely Planet, Spring and Fall in Rome are supposed to be extraordinary, but peak season rates apply. Thank Goodness for the Free Water Fountains! Rome is a walking city, so be sure to bring comfortable shoes. FYI: You'll want closed-toe shoes for visiting the Forum, where the dirt paths are littered with stones and blocks. I couldn't have made it without supportive shoes! Kudos to my pair of Softspots for getting me through some tough terrain in style and comfort. Pay attention to the habits of the locals. For example, most Romans vacation in mid-August, which means that many shop and restaurant owners close and leave town on holiday. Being aware of seasonal events and rituals can also enrich your experience, especially in a historic place like Rome. Public transport is the way to go if you want to really explore all areas of the city. But keep in mind that bus service can be spotty in Rome. Pay attention to the local news the days leading up to your trip. Watch for information about line closures, changes, and strikes. It could help avoid last minute hiccups. Consider renting an apartment. We were very pleased with the rate for our last vacation rental. And the location in Trastevere couldn't be beaten! Excellent shops, bars, and restaurants were right outside our door. And the nightlife in Trastevere is terrific for those looking to spend some time on the romantic streets of Rome underneath the moonlight. We were able to secure a private, 1-bedroom apartment with a/c, kitchen, washer and full bath at a reasonable rate. Just be sure to bring a Swiss Army knife or other multi-tool. You’ll want to make sure you have a corkscrew! Bus tickets are available at any newsstand or tobacco shop (identified by a black sign with a big white “T”). You can buy individual passes or opt for 24-hour or 7-day passes to get the best bang for your buck. For more specific information, check out Lonely Planet's helpful guide to getting around Rome via local transport. Beware of pickpockets. Rome is known for pick-pocketing. Beware! Many work in groups. One creates a distraction while others move in for the steal. So, it’s safe to say that anytime something surprising happens, you should secure your belongings (wallet/bag/camera). Use the rubber band trick if you stow your wallet in your back pocket: wrap your wallet in several rubber bands, which makes it harder to pull out of the pocket due to the friction. Also consider investing in a PacSafe bag, backpack, or camera strap. Their sturdy construction prevents theft through science. Romans drink coffee at bars. You order and pay to receive a receipt, which you then take to the bar. Romans also drink their coffee upon arrival, standing at the bar. Don't linger long, either. Romans drink up and get on with their day. Remember, you've got a lot of sightseeing to do. For more coffee culture tips, don't miss this complete guide to drinking coffee in Rome from Lonely Planet! Whatever you do, don't fall for the tourist trap restaurants. You find these trattorias conveniently located next to the major tourist attractions. Do yourself and your taste buds a favor: explore the streets and alleys to find the “local” fare. 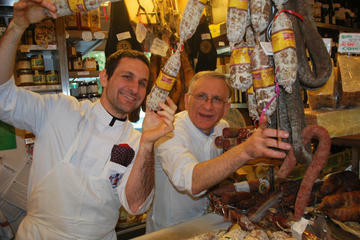 Be sure to read my full post on authentic places to eat in Rome. Pay attention when purchasing your tickets to major attractions. Some, like the Colosseum, include free admission to other major attractions like the Palatine Hill and Forum Romanum IF you visit within the next day. Consider doing what we did: go to the Forum to buy tickets (shorter lines), then visit the Colosseum the next day! On our Colosseum, Roman Forum and Pantheon Tour, see the best of Ancient Rome in groups of only 13 or less. We start our tour early, before the crowds arrive, so that we are among the first into the magnificent Colosseum, and can enjoy it at the best time of the day! Remember that churches close to tourists during services and on Sundays. Also, Roman museums close on Mondays. It's always a good idea to plan your museum days on Sunday, and church excursions on Mondays. In need of another good museum suggestion? Try the Villa Giulia which houses the National Etruscan Museum. Standing in this building was awe inspiring. #Rome itself was awe inspiring. 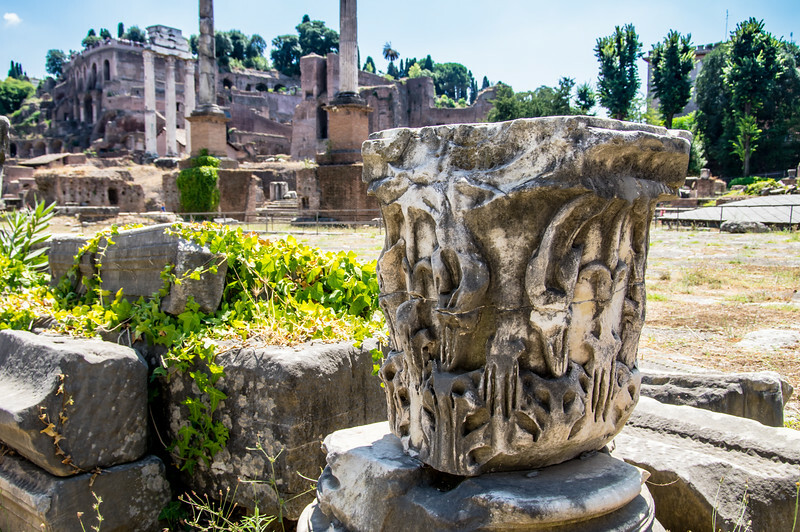 Seeing the structures of #AncientRome and all of #Italy is something everyone should do. It puts so much into context. Humans have been suffering, building, thriving, living for thousands of years. Tonight I #prayforItaly and hope that help is available for all those suffering now. The Via Appia can be a wonderful way to wind down and get away from the hustle and bustle of modern Rome. Rent a bike and see the sights along the most ancient of roads. Or you can choose to take a leisurely stroll; a bus line runs back into the city, making your return less work. Between the incredible photo opportunities and the breathtaking ruins, I found the Via Appia to be a refuge from the busy Roman streets. The fresh air mixed with the ghosts of footsteps past energizes and intoxicates those who choose to take the ancient path. Be aware that the Capitoline Museum has two branches, one at the peak of the Capitoline Hill and the other in Ostiense, close to the working class neighborhood of Testaccio. 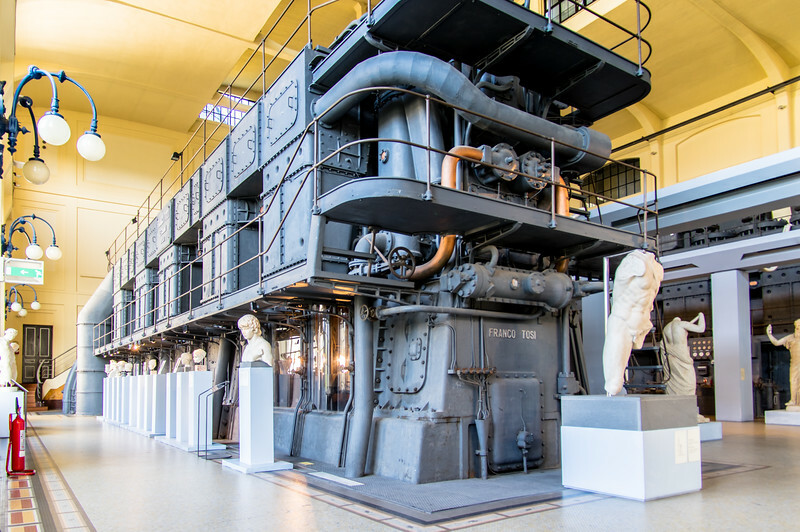 Centrale Montemartini is a MUST see, just like its sister location on the famous hill. Located inside Rome's first electrical power plant, the museum has an excellent collection of ancient sculpture. The juxtaposition between the modern space and classical works is a real treat. If you know you're visiting both, you can save a few euro by purchasing the tickets at the same time! Don't miss the Ara Pacis, the Augustan Altar of Peace. This was by far one of my most favorite attractions. Displayed intact and in context, this unbelievable artifact is truly mind-blowing when you remember that it was consecrated in 9 BCE! The altar is housed in a controversial modern structure designed by American architect Richard Meier. Of course, you must visit the Colosseum, but be sure to get there as early as possible! We arrived right at 8 am, and the lines were already long. We purposefully planned to visit early the morning after seeing the Forum. Seeing the Colosseum was a simultaneously exciting and repulsive experience. Still, it's something every traveler should see. I have Roman Holiday in my Netflix queue. I should totally watch it today. 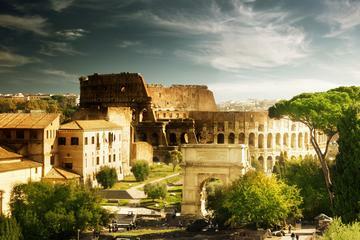 Rome is on my bucket list. (heart sigh) actually all of italy is on my list. Not enough time, not enough money. Urgh. Someday. Very informative! I learned a lot of new things 🙂 Thanks for sharing! You are most welcome, Tamara! I’m glad you found it helpful. Thanks for reading. Your photos are incredible! On my first solo overseas trip last summer, Rome was one of the places I went to. I didn’t have much trouble at all there with not knowing the language. These are great tips! I lovedddd the free water fountains around the city! And comfy shoes are an absolute must! Thanks so much, Kaylene! I really appreciate the feedback. I’m glad you loved Rome, too. Your trip sounds amazing! Where else did you go? I can’t wait to travel to Rome! Yay, Mon! I can’t wait for you to visit either. It’s most amazing 😉 When are you going?